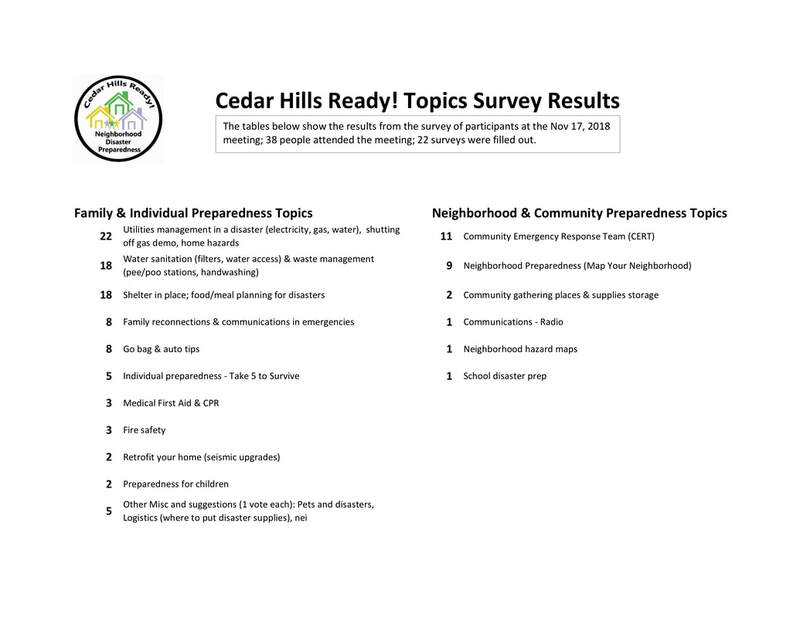 Cedar Hills Ready! - Quake Up! Community. Volunteers. Event. Quake Up! 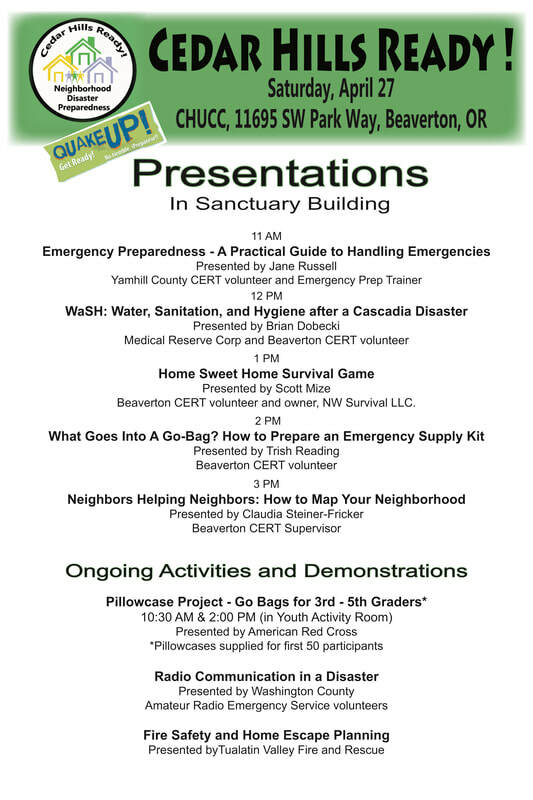 To raise awareness and educate people about disaster preparedness, we are planning a free public event. 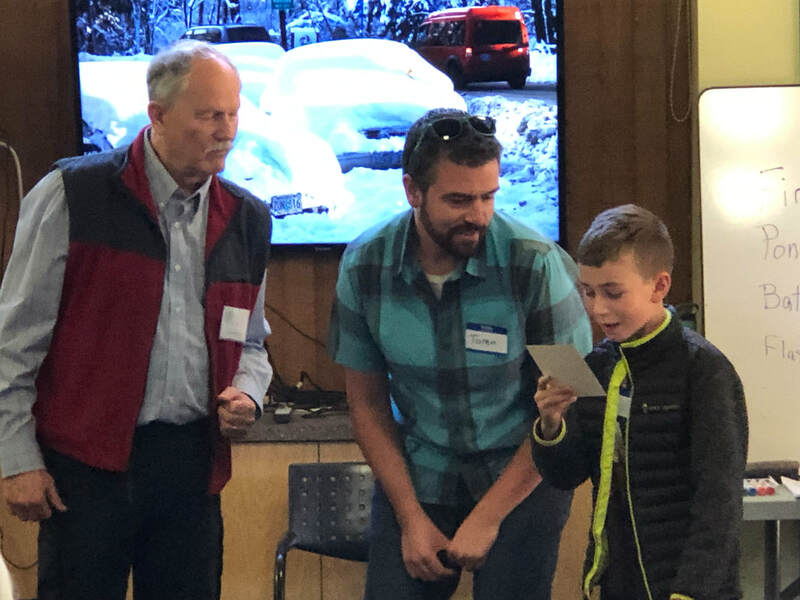 It will be broad enough to include government agency presentations, vendor displays and booths, speeches and demonstrations on disaster prep and survival topics, and activities attractive to children. 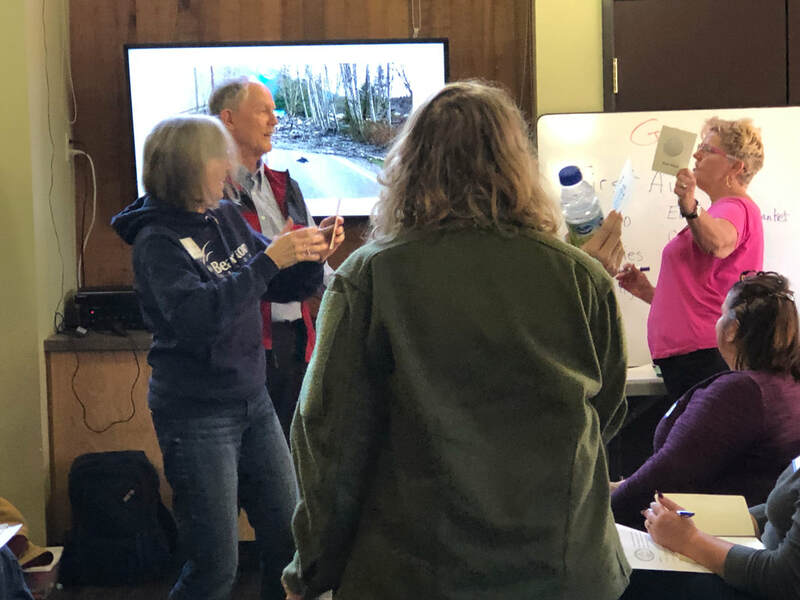 The tone will be upbeat and friendly, while the focus will be to inform participants about potential disasters and the availability of information, tools, techniques and practices for their survival. 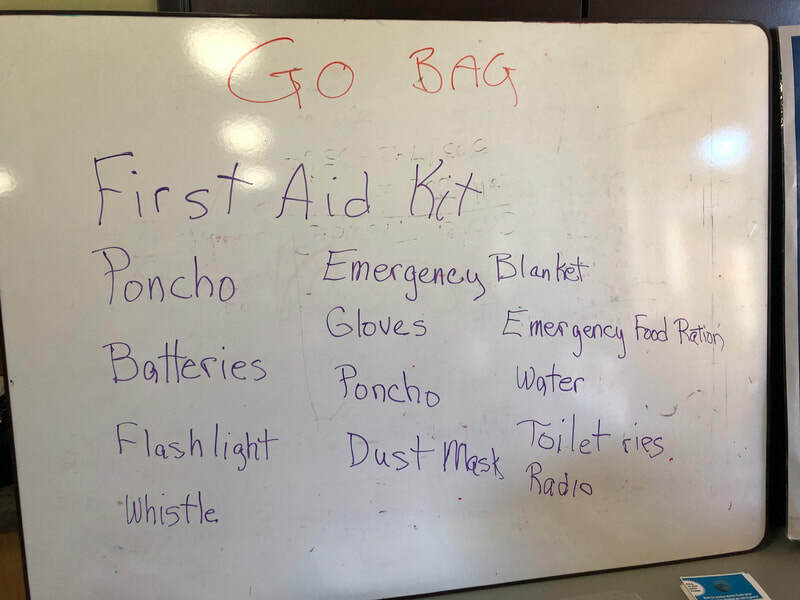 It will also focus on how to connect with their neighbors in getting prepared for a disaster event. Link: Community Quake Up! : Cedar Hills Ready! Anybody participating to make this a successful event will have the opportunity to connect, have fun, learn a lot, and to make a difference in their life and the lives of their friends, neighbors, and church members. We have numerous opportunities where people can get involved. More than one person can fill each role; in fact, we encourage it. People will be supported in the roles they take on. Many hands make light work—and turn work into fun. We are organizing. 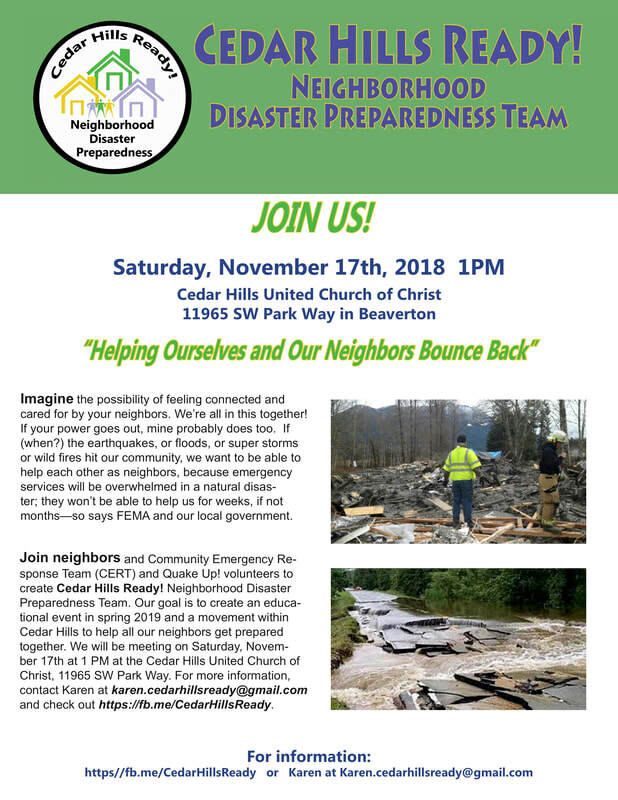 Join your neighbors with Our Communities Emergency Disaster program. 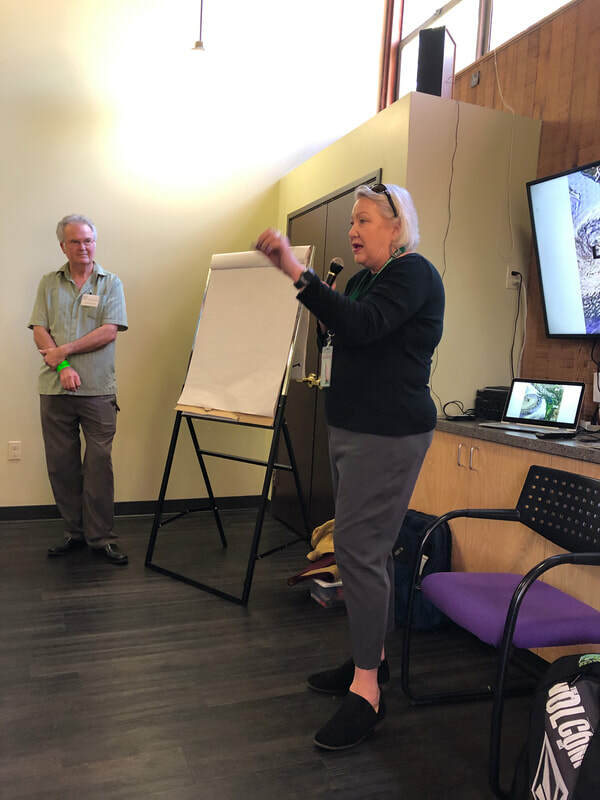 Natural disasters have been increasing over the last few decades, and people are losing their homes, neighborhoods, and lives. Cedar Hills is vulnerable to earthquakes. We need to get prepared. FEMA says emergency services will be overwhelmed in a natural disaster; they won't be able to help you for weeks, if not months. Your best prospect for survival is being prepared--individually and with neighbors. If we do nothing to prepare, you could lose it all--family, friends, pets, and home. We can alter this predictable future as a community by preparing together with our neighbors. 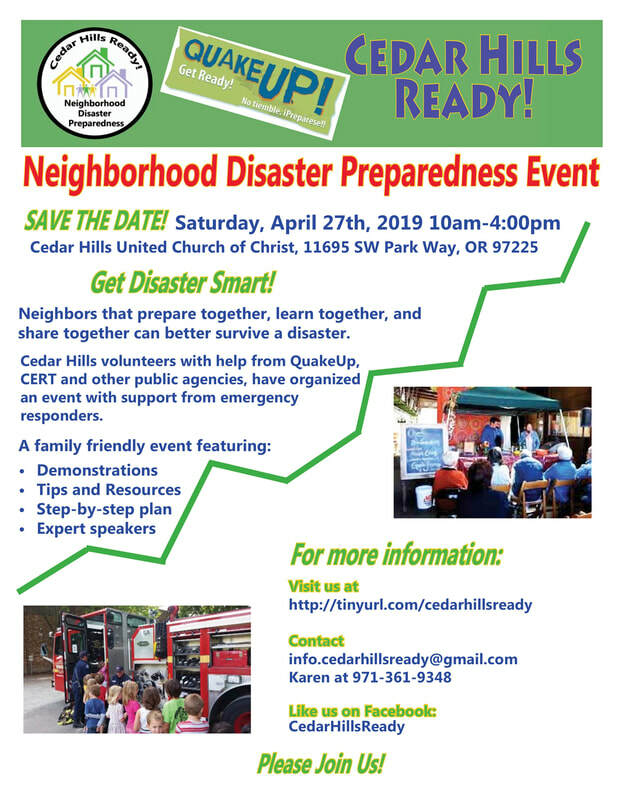 Come find out how to get prepared at Cedar Hills Ready!, a neighborhood event organized by neighbors and Community Emergency Response Team (CERT) volunteers. This event will be a family friendly event, with activities for kids and adults alike. Cedar Hills Ready! 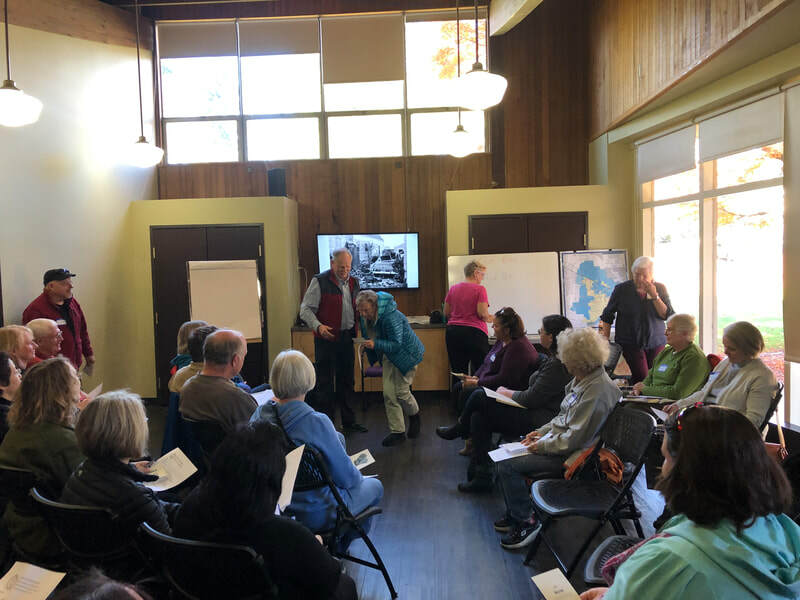 held a volunteer recruiting event at Cedar Hills United Church of Christ (CHUCC) in November 2018. 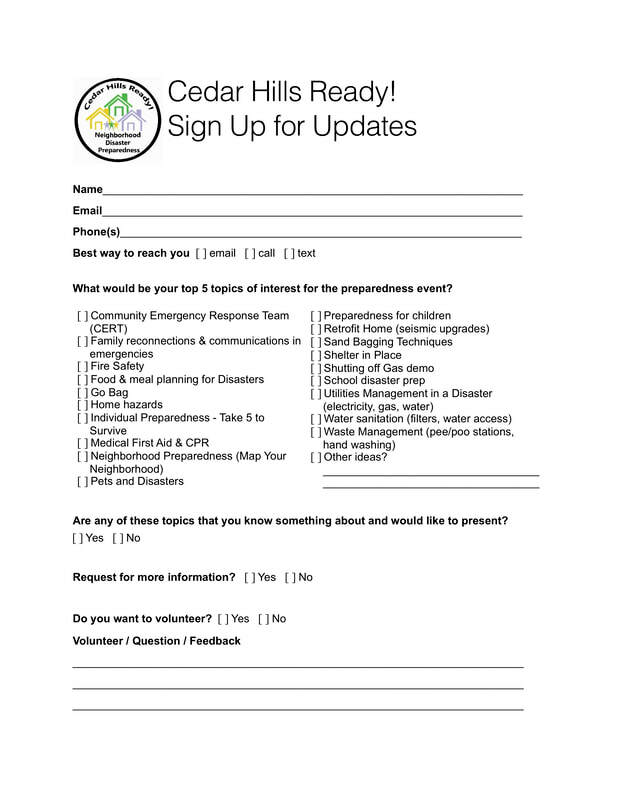 It was well advertised through social media and the Homes Association of Cedar Hills Newsletter. About 40 people attended the event, including church members, neighbors, members of Community Emergency Response Team, the founder of Quake Up!, and a Beaverton City Council woman. 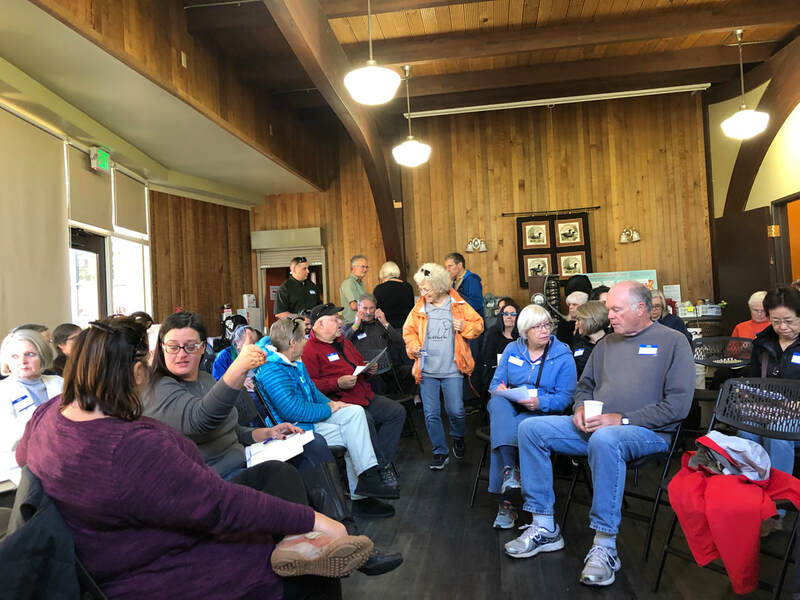 More than half of those who attended expressed interest in volunteering.